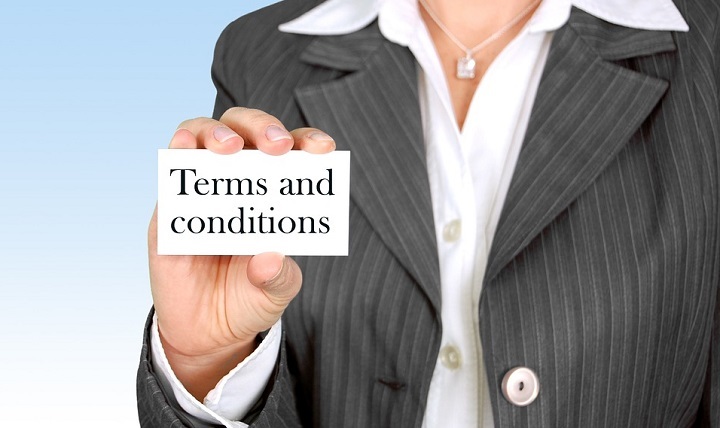 The terms and conditions contained below govern the use of the website MyBargainBuddy.com. If you do not agree to the terms and conditions set forth below, please do not use this website or any information contained therein. By using this website and/or the information contained therein you agree to the terms set forth below. Use of Site. All offers and promotions on this site are subject to change without notice. MyBargainBuddy.com merely provides a venue for obtaining the information contained in this site and has no control over the legality of any coupons or other offers made by vendors, the ability of any of the vendors to complete the sales in accordance with the offers, or the quality of the goods offered by the vendors. MyBargainBuddy.com has no control over whether vendors will honor the offers shown on this site and does not guarantee the accuracy or completeness of the information contained in this site. In the event you have a dispute with a vendor in any way relating to this site or the use of information from this site, you agree to waive and release MyBargainBuddy.com from any and all claims, demands, actions, damages (actual and consequential), losses, costs or expenses of every kind and nature, known and unknown, disclosed and undisclosed relating to that dispute. Disclosure. What exactly is an affiliate link? An affiliate link is a way to link to a store, product, or coupon that allows MyBargainBuddy to earn a small commission if a purchase is made or an offer is signed up for. It helps offset the costs of running this website and allows me to spend more time hunting down great deals and freebies for the people who use my website and subscribe to my newsletter. The owner of this blog is compensated to provide opinion on products, services, websites and various other topics. Even though the owner(s) of this blog receives compensation for our posts or advertisements, we always give our honest opinions, findings, beliefs, or experiences on those topics or products. The views and opinions expressed on this blog are purely the bloggers’ own. Any product claim, statistic, quote or other representation about a product or service should be verified with the manufacturer, provider or party in question. This blog does not contain any content which might present a conflict of interest. Warranty Disclaimer. MYBARGAINBUDDY.COM PROVIDES THE WEBSITE AND THE SERVICES RELATING THERETO “AS IS” AND WITHOUT ANY WARRANTY OR CONDITION, EXPRESS OR IMPLIED. THIRD CURRENCY HEREBY SPECIFICALLY DISCLAIMS THE IMPLIED WARRANTIES OF TITLE, MERCHANTABILITY AND FITNESS FOR A PARTICULAR PURPOSE. Some states do not allow the disclaimer of implied warranties so the foregoing disclaimer may not apply to you. This warranty gives you specific legal rights and you may also have other legal rights which vary from state to state. Limitation of Liability. IN NO EVENT SHALL MYBARGAINBUDDY.COM BE LIABLE, WHETHER IN CONTRACT, TORT (INCLUDING NEGLIGENCE) OR OTHERWISE, FOR ANY INDIRECT, INCIDENTAL OR CONSEQUENTIAL DAMAGES (INCLUDING LOST SAVINGS, PROFIT OR BUSINESS INTERRUPTION EVEN IF NOTIFIED IN ADVANCE OF SUCH POSSIBILITY) ARISING OUT OF OR PERTAINING TO THE SUBJECT MATTER OF THIS AGREEMENT OR THE USE OF THE SITE. Remedies. The sole and exclusive remedy of any party against MyBargainBuddy.com by reason of a breach or default by MyBargainBuddy.com of any of its obligations shall be a return of any fees which have been paid to MyBargainBuddy.com by such party. Jurisdiction; Venue. This agreement shall be governed by and construed in accordance with the substantive laws of the United States and the state of California, and any action shall be initiated and maintained exclusively in a forum of competent jurisdiction in the state of California. Before participating in any offers and/or promotions, please read the fine print associated with it and verify independently that any merchant you are doing business with is legitimate and reputable. If you have any questions or comments, please contact us.